In 2017 our CEO was invited to number 10 Downing Street to celbrate the Civil Sector in the West Midlands. In 2015 Our CEO won “Highly Commended Business Support professional in the West Midlands. 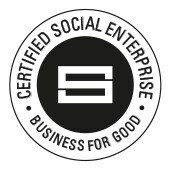 In 2013 we were proud to be shortlisted for the RBS SE100 Index ‘Trailblazing Newcomer Award’ recognising Development in Social Enterprise as one of the top performing social enterprises in the country in terms of our social and economic impact.